Do you see the coming? Now Google has announced some changes are coming to how URLs will be displayed in mobile search results. This change is related to URL in mobile search results. In fact, Google won’t be displaying URLs anymore. Now Google will display the real name of the site in on place of domain name and URL structure will be displayed in a breadcrumbs format. These changes are being rolled out gradually and currently are for mobile search results only. Currently you can see these changes in US search results only. Now here is a new set of structured data markup to help you to control how your site name is displayed in search results. 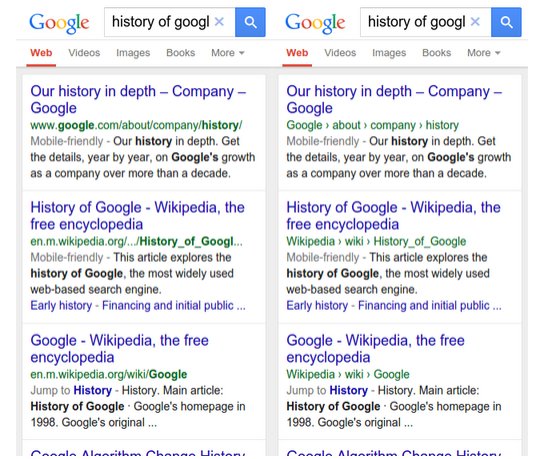 This will help you to tell Google algo how you want website name to be displayed in search results. You can even tells how the structure of your website to be displayed. How do you like your site to be displayed in search results?